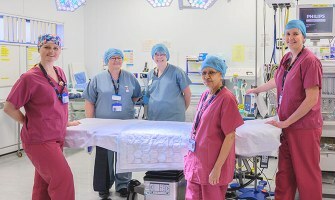 Our maternity team includes consultant obstetricians, paediatricians, midwives, obstetric nurses and healthcare assistants and several clerical staff, all of whom endeavour to work together to create a positive experience for all women who choose to deliver with us. Midwives provide care at all stages of your pregnancy, birth and postnatal period. Our midwives work in different teams at our hospitals and in the community to provide tailored and indivisualised care according to your needs. 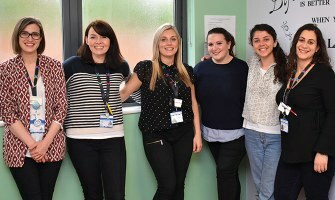 Whenever possible you will see the same team of midwives at locations that suit you to help develop trusting relationships with our teams throughout your journey with us. You may have appointments with consultant doctors at different stages of your pregnancy. Antenatal clinics: We have several general clinics each week for women who need a doctor's input during their pregnancy. These are arranged geographically so that all women living in a similar location are cared for by the same team of midwives and doctors. Specialised clinics: Some women have particular needs during their pregnancy and we run special clinics to have provide this additional, tailored support from pre-pregnancy right through to postnatal. To help women and babies to have the best possible outcome we ensure that care is centred around the mother, including decision-making and choices. Labour wards: There is always a team of doctors and midwives working on our labour wards and women with more complicated pregnancies have their own individualised birth management plans to ensure everyone knows what care is required in labour. Birth centre: While doctors do not provide routine care in our birth centres, they are always on hand in case an urgent situation develops and work with midwives as needed. The same philosophy of high quality, one-to-one care applies in our birth centres and labour wards. As we are a training hospital this means that medical students work along doctors and midwives in all areas of the maternity unit. We hope that you will be happy to welcome them at your consultation or labour, but understand if you would prefer not to—the choice is entirely yours. We train a wide variety of students from Imperial College School of Medicine and the London Deanery—some are aiming to become consultants and others to be GPs.